Nebraska's 2018 Mandela fellows pose after planting a tree by the Harper-Schramm-Smith residence hall complex. The planting was in recognition of Nelson Mandela's birthday. For the third-straight year, the University of Nebraska–Lincoln has been named an institute partner in the Mandela Washington Fellowship for Young African Leaders program. Beginning in mid-June, the university will host 25 of Africa's bright, emerging civic engagement leaders for a six-week leadership institute, sponsored by the U.S. Department of State. The Nebraska cohort will be part of 700 Mandela Washington Fellows hosted at 27 educational institutions across the United States. The Mandela Washington Fellowship, the flagship program of the Young African Leaders Initiative, empowers young African leaders through academic coursework, leadership training, mentoring, networking, professional opportunities and local community engagement. Since 2014, the U.S. Department of State has supported nearly 3,700 young leaders from 49 countries across Sub-Saharan Africa to develop their leadership skills and foster connections and collaborations with professionals in the United States. At the conclusion of the leadership institutes, the fellows will convene in Washington, D.C., for the sixth-annual Mandela Washington Fellow Summit, where they will network and join in panel discussions alongside U.S. leaders in the public, private and non-profit sectors. Following the summit, 70 competitively-selected fellows will participate in four weeks of professional development at U.S. non-governmental organizations, private companies and government agencies. Funded by the U.S. Department of State’s Bureau of Educational and Cultural Affairs and working closely with its implementing partner, IREX, host institutions offer leadership programs that challenge, motivate and empower these inspiring young leaders from Africa. 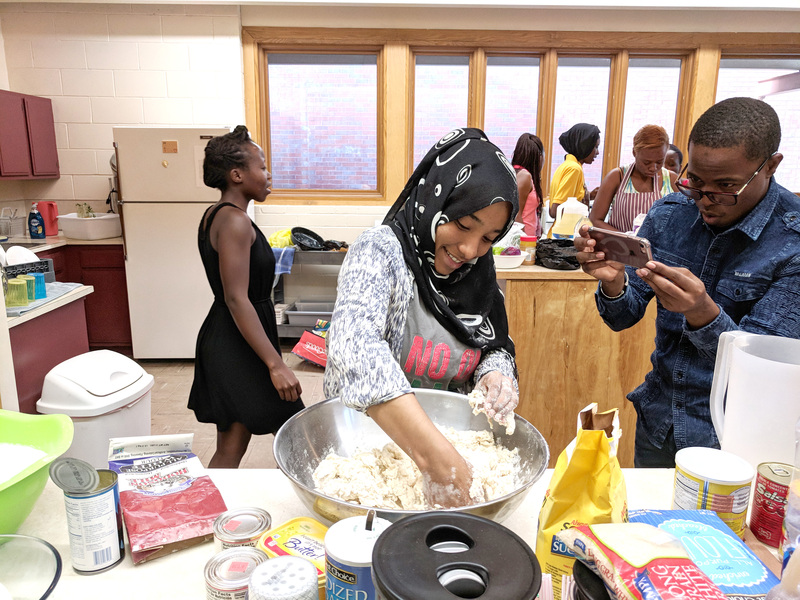 The Mandela Washington Fellows celebrated America's Independence Day by making popular foods from their home countries for a potluck picnic at St. Mark's On-The-Campus. The project is led by Maegan Stevens-Liska, director of the Office of Global Strategies, and Linda Major, director of the Center for Civic Engagement. The partnership, coupled with assistance from other campus units and faculty, has created a dynamic and engaging program for the visiting fellows. The program is an extension of Nebraska’s long history of global engagement, which benefits the state, country and world. Josh Davis, interim associate vice chancellor for international engagement and global strategies, said that being selected as a host institution again this year is a reflection of the growth in the university's global reach and impact. Stevens-Liska said the university is excited to be a Mandela Washington Fellow host for the third time. 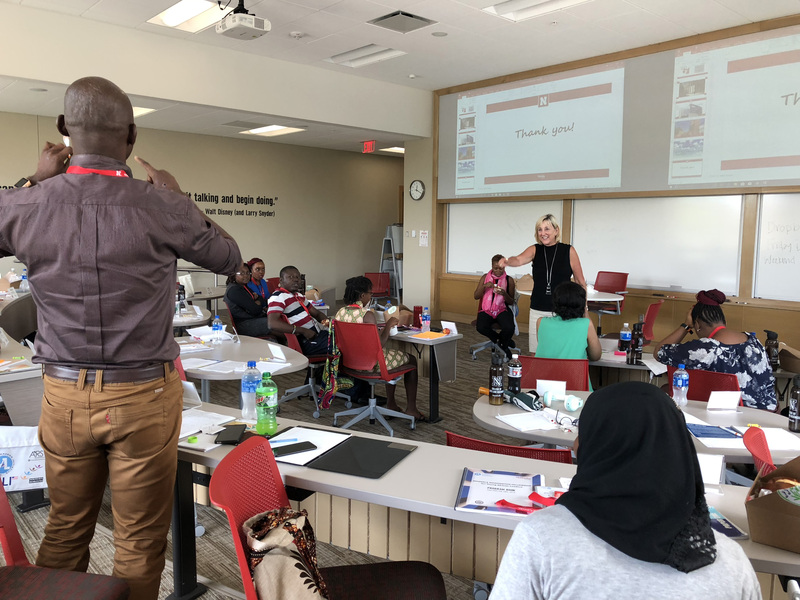 Nebraska’s program for the Mandela Washington Fellows will feature academic instruction and practical, hands-on experiences focused on a range of issues, including business, leadership, entrepreneurship, development and human rights, and communications and organizational development. The fellows will also participate in community service and engage with local and state leaders. Donde Plowman, executive vice chancellor and chief academic officer, leads a discussion on strategic planning during the summer 2018 Mandela Washington fellows program. The Mandela Washington Fellowship for Young African Leaders is sponsored by the U.S. Department of State with funding provided by the federal government and administered by IREX. Learn more about the Mandela Washington Fellowship program.